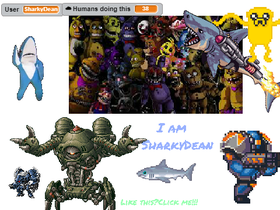 I am a CYBER savage Shark Man that is 9. UPDATE!!!!! :New Studio that just came out with ALL of my projects that came out during 3 months 3 weeks and 2 days of me doing scratch! Repeated Season 1 pass Studio!!!! !